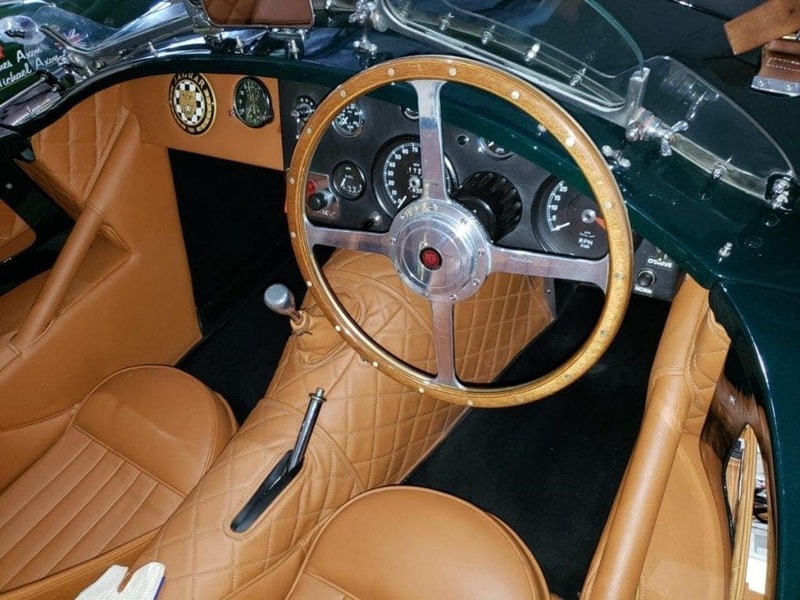 If you’re like most ‘car people,’ you already know about Cars & Coffee events. The phenomenon has steadily gained traction over the years. 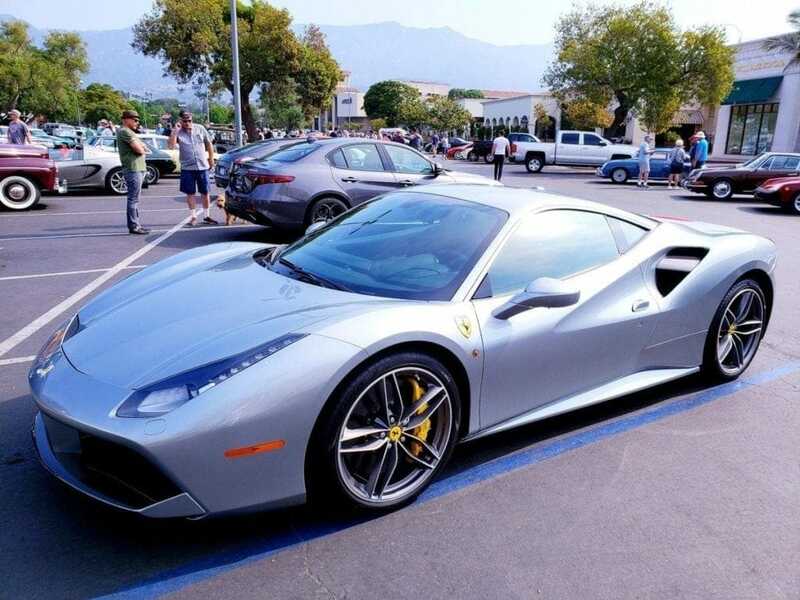 So what exactly is Cars & Coffee? Well, it’s what sounds like: Car lovers and automotive enthusiasts check out cars together while enjoying coffee in the morning. It’s just that simple and, for car people, that glorious too. Cars & Coffee events are run by passionate volunteers who devote countless hours to planning; waking up early on a Saturday or Sunday to organize the day for people they don’t personally know, but who share their same love of cars. A Cars & Coffee organizer or volunteer rarely gets paid. Perhaps a vendor, selling coffee and donuts, will turn a profit on the day. There are no entry fees for these memorable meet-ups. 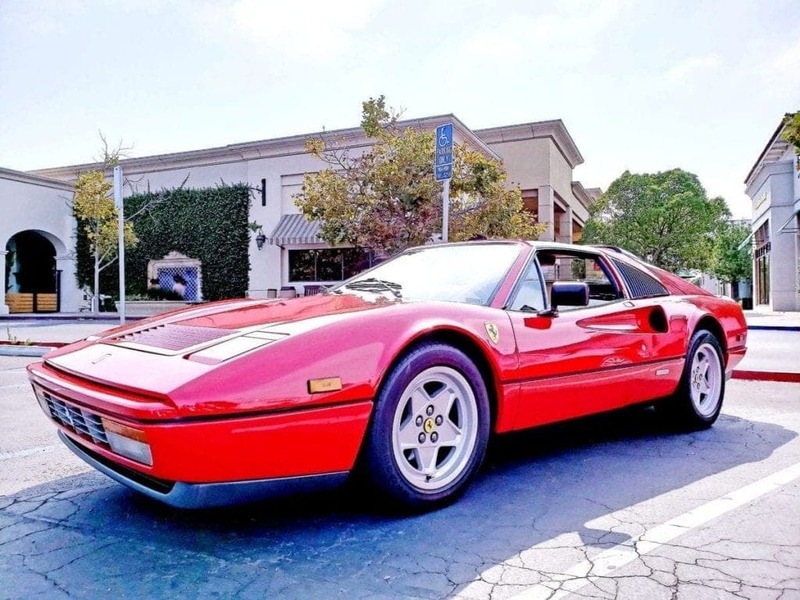 And whether you’re showing off your Ferrari, or showing up as a spectator to check out a sweet ’87 Yugo – we’re all just equal lovers of cars. 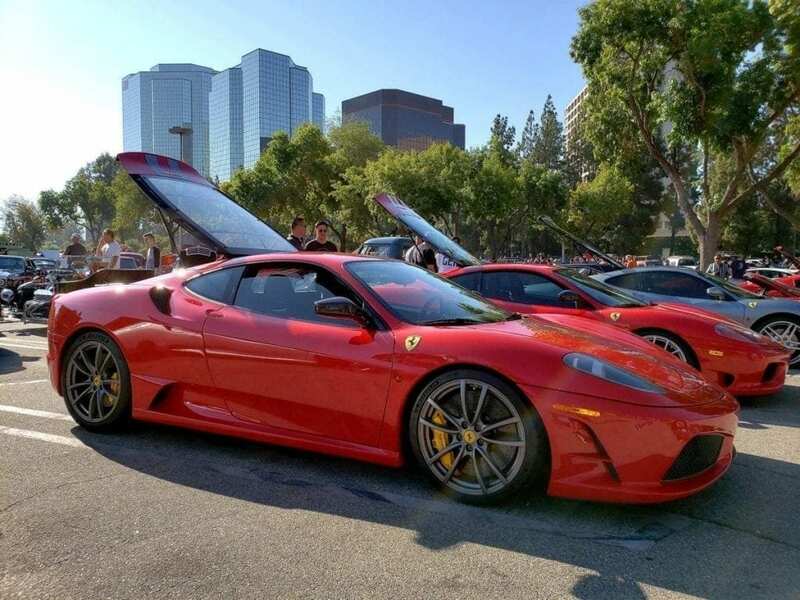 Cars & Coffee events represent simple, automotive, passion, and are yet another reason Southern California is the automotive capital of the world. They got their start right here in our backyard. 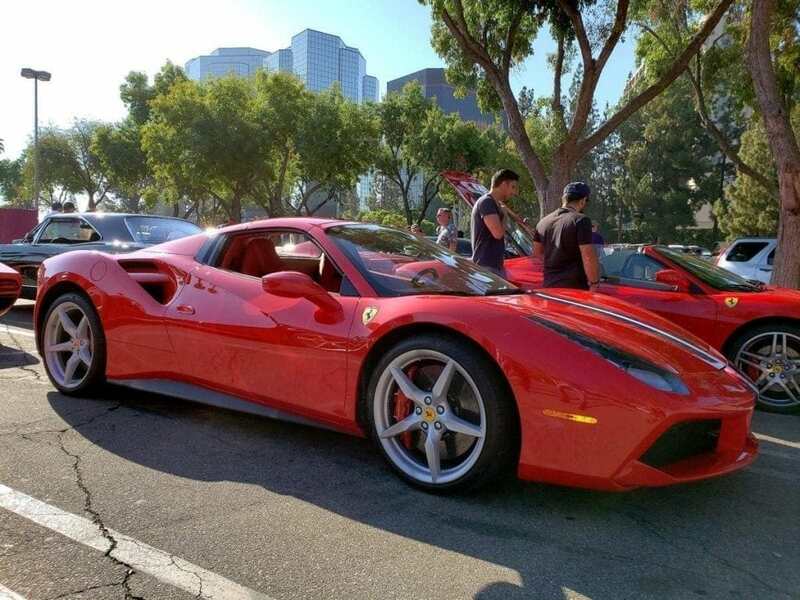 In this iDriveSoCal Podcast, we get the Professor’s top five Cars & Coffee events from across the Southland. 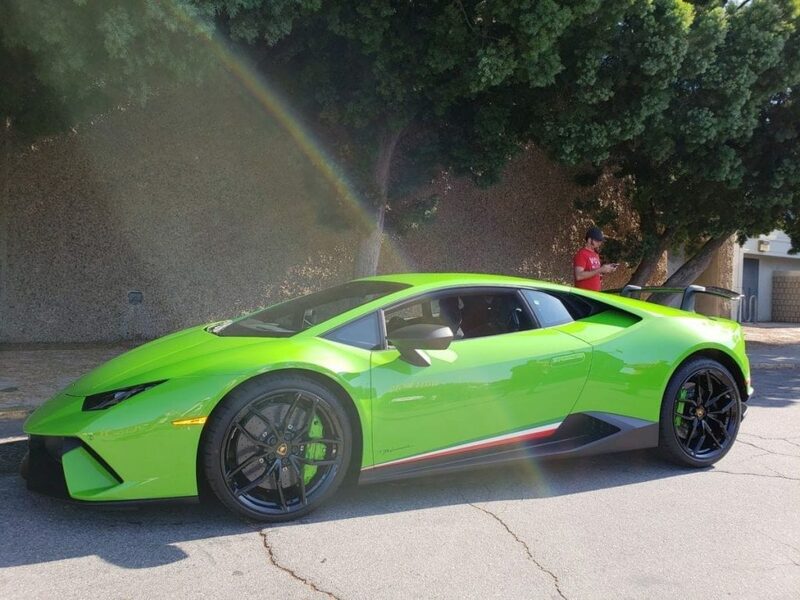 Cars and Coffee – It All Started in SoCal! Clinton Quan: It’s really amazing how popular it’s become. And all over Southern California, just on any given weekend, there’s a number of Cars and Coffee. Tom Smith: Hey, hey, hey. The podcast that we’re doing today, we actually just hatched this plan. Cars and Coffee is a lot of things, right. It’s simply Cars and Coffee on a Saturday morning or Sunday morning. Automotive enthusiasts have been getting together in parking lots for years now. Tom Smith: And it’s really like it’s the older, more responsible, wealthier version of the teenage punk kids that get together on the evenings on the weekends in parking — Probably, somebody is saying parking lots, right. Clinton Quan: It could be somewhat the same. Tom Smith: All right. Maybe I’m stretching a little bit. I don’t know. So, Cars and Coffee started right here in Southern California, the concept. Tom Smith: Yeah, exactly. Car Crazy is a TV and radio show for a while there. But he shared that the — He hung the hat of the real founder and his wife of Cars and Coffee. I think it was a former PR guy for Ford that was down in OC by him. And I’d have to look at the podcast there, listen to the podcast again to know for sure who the person’s name was. But it started to Crystal Cove, and then it grew from there. And then, it got so big that it dissolved the original down in Irvine, right? Clinton Quan: Yes, the one in Irvine. It was huge. 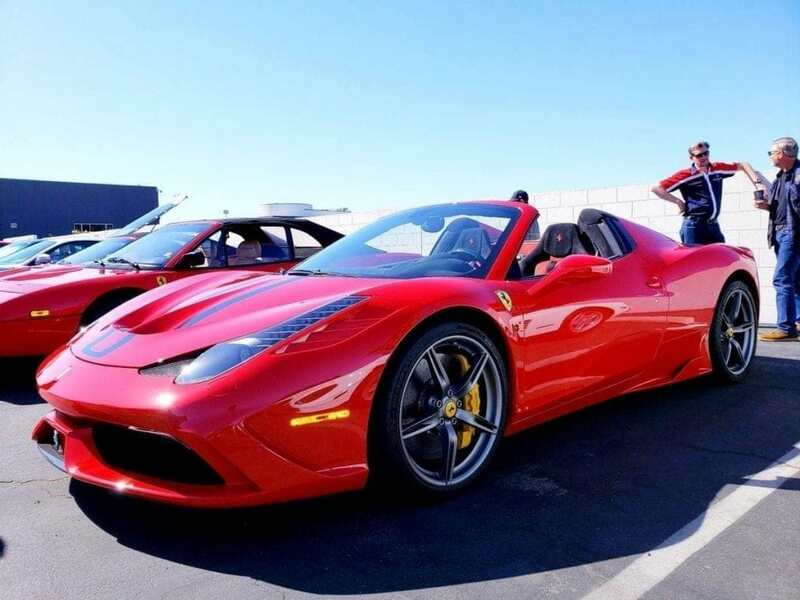 Tom Smith: So, another reason why Southern California is the automotive capital of the United States and the world is this is the home of Cars and Coffee. And as Barry so eloquently put it, you know, Cars and Coffee grew to not only a nationwide phenomenon but worldwide. They’re everywhere. Tom Smith: And, you know, you just Google Cars and Coffee, and you’re going to stumble across a Facebook page or our web page somebody talking about it. And I don’t know if anybody owns the Cars and Coffee. Is there a trademark? Is there a copyright? I didn’t know. Tom Smith: It’s a concept, right? Clinton Quan: But it’s really amazing how popular it’s become. And all over Southern California, just on any given weekend, there’s a number of Cars and Coffee. Tom Smith: Ton of them, still to this day, right? 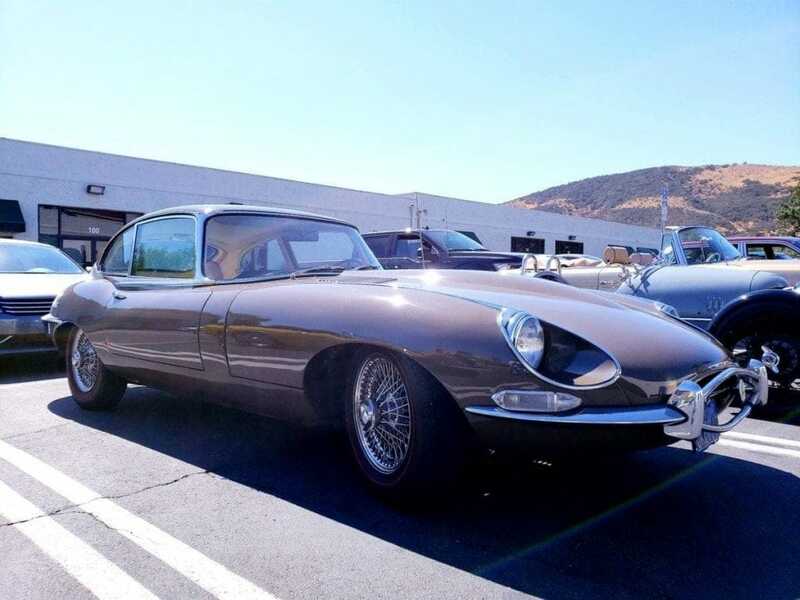 Tom Smith: And, actually, namedrop and throw one other celebrity Southern California element, Jerry Seinfeld in his Comedians in Cars Getting Coffee, right. Tom Smith: Where is that? On Netflix or something like that. I don’t know. Clinton Quan: It’s something like that. Tom Smith: Right, whatever. So, that’s what this podcast is about where Clinton and I kicking around the topic of Cars and Coffeee. 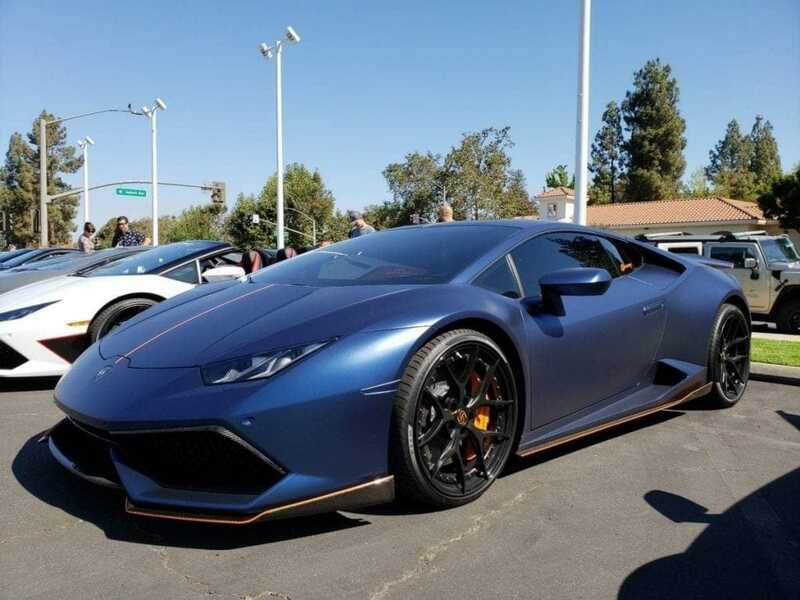 But also as Cars and Coffee started here in Southern California, and, legitimately, it’s yet another reason why Southern California is automotive capital of the United States, automotive capital of the world. 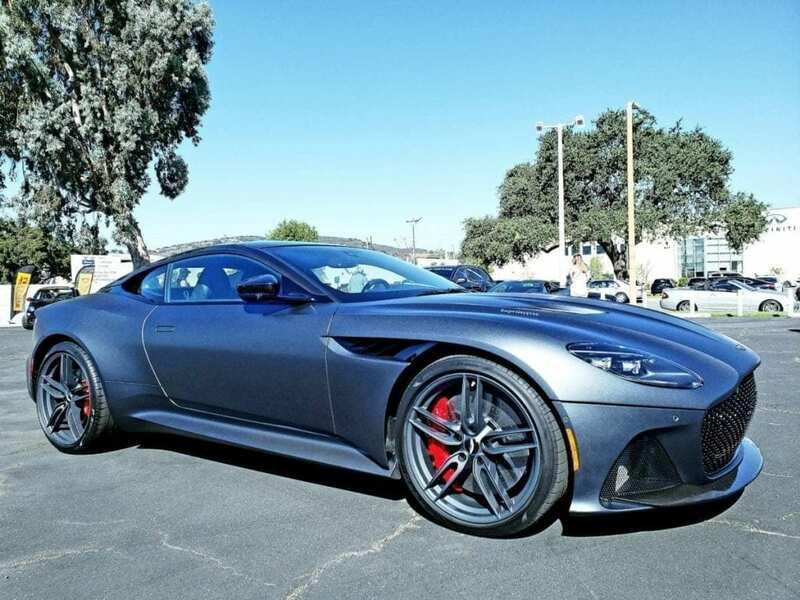 And the good Professor has a handful of top Cars and Coffee events here in So Cal that he’s going to rattle off, and we’re going to touch base on. So, take it away, Professor. Clinton Quan: Okay. 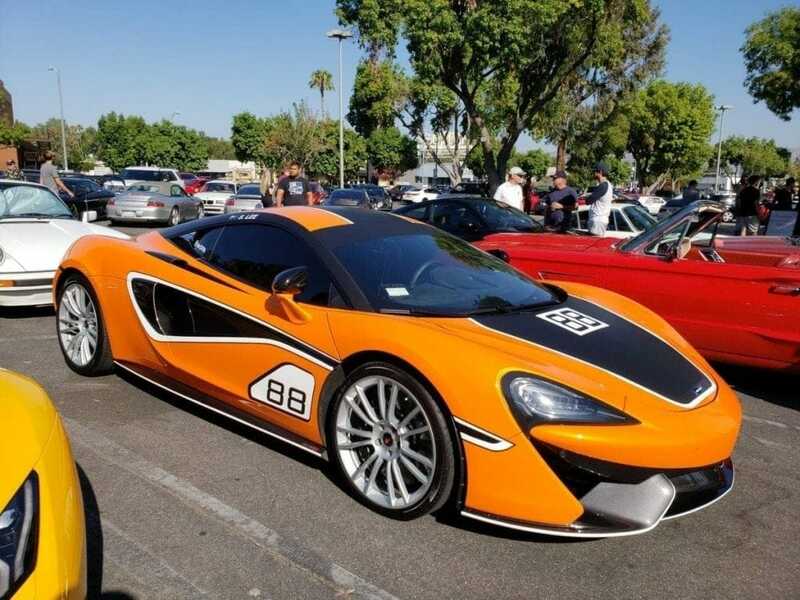 Well, these are some of the five biggest Cars and Coffee events here in Southern California. And the first one I’m going to talk about is the one that I just went to this past Sunday in Santa Barbara, and that previously took place in the community of a Montecito in Santa Barbara. Santa Barbara Cars and Coffee. And they just relocated to a bigger location, La Cumbre Plaza, in the heart of Santa Barbara. I think the event grew so big that they needed a much larger location, a parking lot at a shopping center. Tom Smith: And I got a jump in real quick right there because, for regular listeners, you know that our events page is quite full with awesome events. And the Professor’s always going out to events. We’re covering events constantly of the automotive nature. 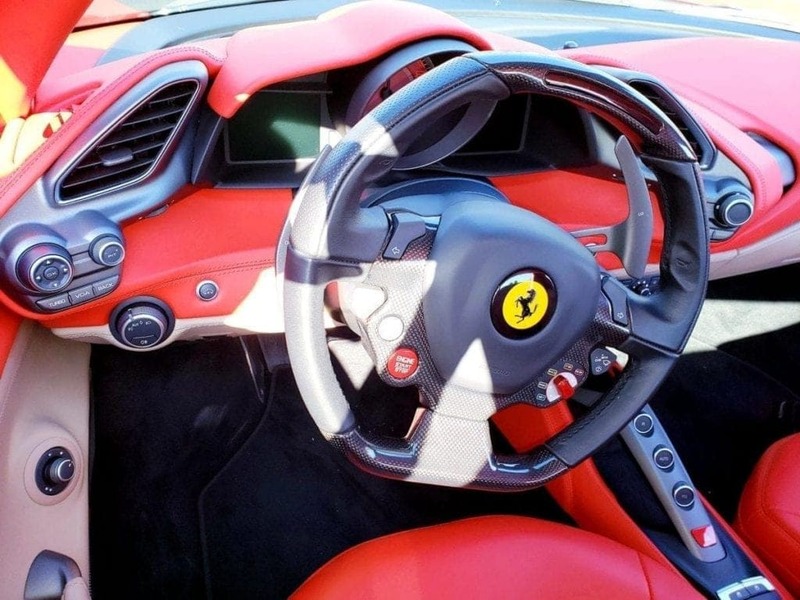 I don’t know what the solution is yet for the Cars and Coffee events because, as the Professor just pointed out, these are oftentimes so successful. Some of them start and dissolve in, you know, outlying areas, but, oftentimes, are so successful, they outgrow their initial locations. Tom Smith: And then they go somewhere else. Tom Smith: And then it goes from a website that is giving all the information to a Facebook page, to what have you. So, we don’t have a solution for that yet quite honestly because it’s just a lot to track down. And so, there you have it. But as you have interest in going to these Cars and Coffees, just Google them and maybe by the time you Google them, maybe we’ll have a solution. You’ll stumble back to iDriveSoCal. Tom Smith: But nevertheless, that first one was Santa Barbara, right? Clinton Quan: Santa Barbara Cars and Coffee. And this was my very first time attending the event. And just by going to the event, you can see this is really an event for all types of automotive enthusiasts. There were Ferrari’s. There were hot rods, classic cars, just a variety of vehicles. Clinton Quan: So, it doesn’t matter what type of automotive enthusiast you are. If you love cars, this is where you want to go. You hang out. The owners of the cars, they love talking about their cars. So, it’s a great way to really find out more about the cars and to hear their stories. Clinton Quan: And that’s what’s amazing about that. Tom Smith: And everybody has one. Tom Smith: And now, some of them, some of the Cars and Coffees are, you know, Forrest Gump box of chocolates, right? There’s something for everybody in there. Tom Smith: Maybe that’s not the best analogy. But then, some of them also focus on one genre or another. Clinton Quan: Yeah. Some are a little bit more focused than others. That’s correct, yes. Tom Smith: For instance, I’m going to go off, the first — Go off on a tangent here. The first Cars and Coffee that I ever went to, a buddy of mine who, actually, we grew up in the Midwest and moved out to Southern California around the same time. And then, his company relocated to Plano, Texas. And this is just a few years back. I think 2015. And I went and visited him there, and he brought me to a Cars and Coffee. My First Cars and Coffee – Was in Texas! As long as I had lived here for, what was it, 10 years, I had never heard of Cars and Coffee. He brought me to my first Cars and Coffee event in Plano, Texas. And it was crazy. I mean, they had a section of Bugattis, a section of McLarens, a section of — I mean, like, the wealth that was displayed there was insane. I’ve never seen anything like that. The Concours d’Elegance that you and I went to at Trump International Golf Course years ago was impressive. Tom Smith: This blew it away by way of value of vehicles. And this was just people that are passionate about cars getting together, which is really, really cool. 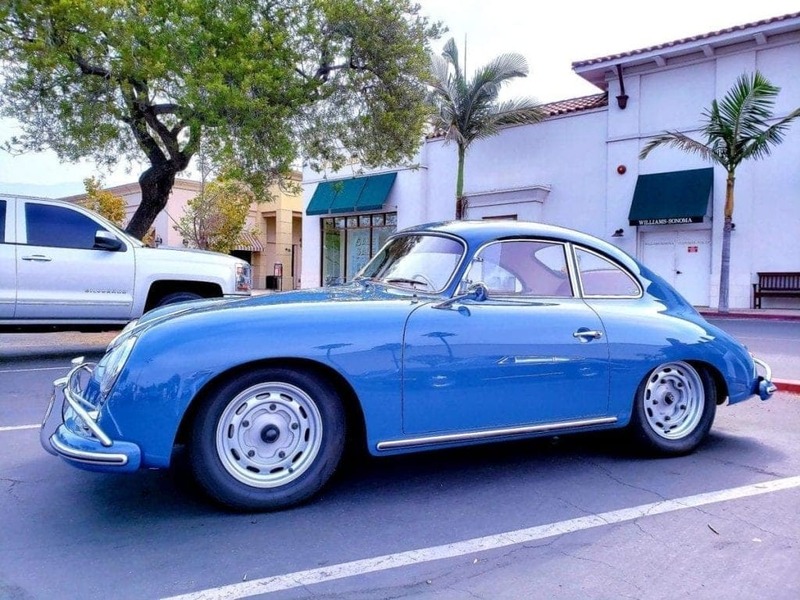 Tom Smith: Cars and Coffees are just really cool. Sorry to go off on that tangent. This is your list. Back to the Professor. Clinton Quan: Okay. The next one on my list is Westlake GT, and that takes place at a car dealership, Maserati, Bentley, Rolls Royce. And I believe there’s going to be one this coming Saturday, and they’re actually unveiling the new Rolls Royce SUV at this event. 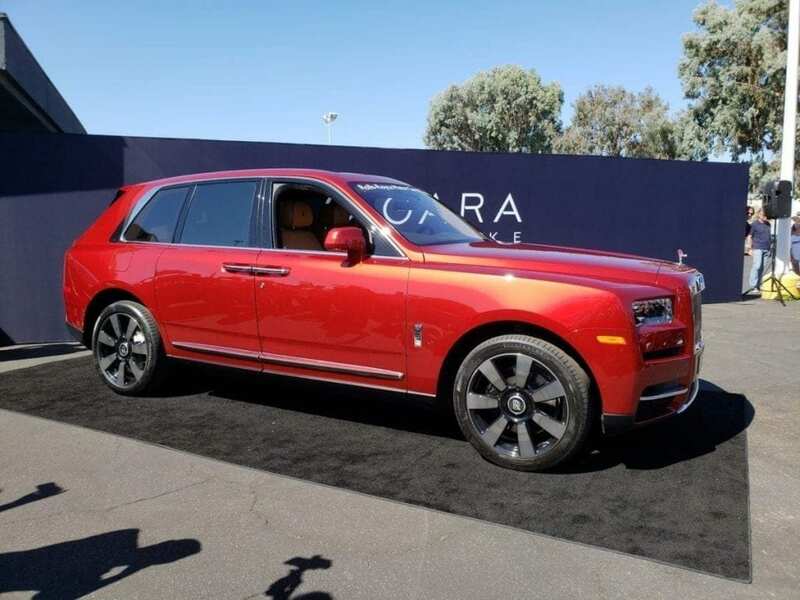 Tom Smith: The Rolls-Royce SUV? Tom Smith: Which I’m sure will have a price point that’s well within everyone’s reach. Clinton Quan: Yeah. I don’t know anything about it, but, yeah, I’m sure it’s going to be around $300,000 to $400,000. Tom Smith: Yeah, lots of money. Clinton Quan: Somewhere in that price range if I were to guess. Tom Smith: …because they love cars. But, then, also, oftentimes, it changes dates. So, hey, you know, it’s every other Saturday, or if it’s every Sunday, or what have you. So, there’s little inconsistencies there too. Tom Smith: So, sorry. So, that’s number two. Clinton Quan: Number three, moving down along the coast, Malibu Cars and Coffee. And that one starts early in the morning. I think they do that twice a month. It’s from — I believe, it starts at 7:00. Clinton Quan: So, for a lot of people, that would be quite a drive out to Malibu. Clinton Quan: And you’d have to get up really early. Clinton Quan: That’s a great reason to go out a scenic drive on PCH early in the morning. Tom Smith: And, personally, I mean, I’d rather go knock it out, you know, early because then you still have, you know, have a beautiful family whatever. You still have the weekend-day to do whatever, so. Tom Smith: The Professor’s got to keep talking to his microphone. He’s looking down at his notes. Tom Smith: The few times that you never need notes for anything. You always have everything off the top of your head. And for this, you need notes. Really? Tom Smith: Give him the mic. Quan: Keep these Cars and Coffee on my list. Clinton Quan: Sunset GT. And this is in West Hollywood Sunset Plaza. Tom Smith: Okay. And that’s got to be — I haven’t been to that one. That’s got to be a cool one. Clinton Quan: Yes. 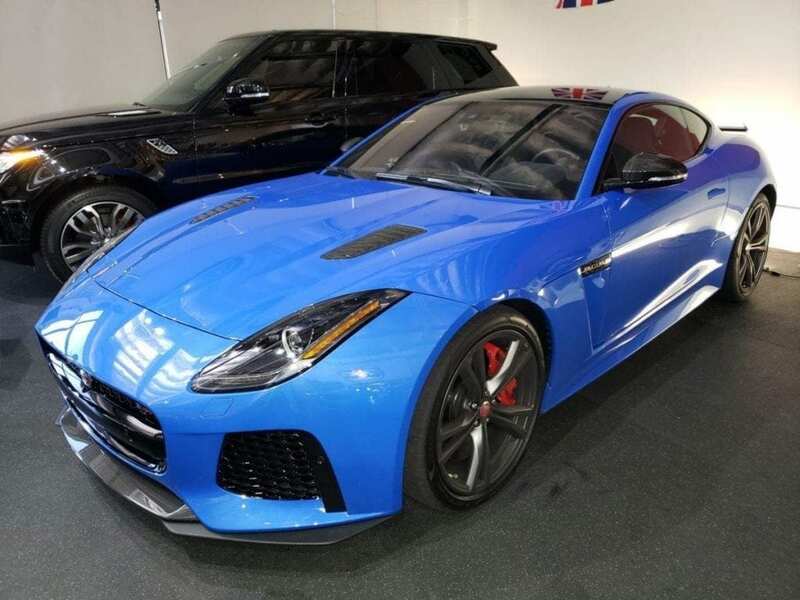 And this one definitely focuses on exotics and sports cars, for sure. Tom Smith: And pretty people, right. Clinton Quan: Yeah. I think this one starts a little bit later in the day. I think it’s more like 9:00 to 11:00. So, it’s a little bit more reasonable. Tom Smith: Yeah. And all the partiers are just coming out of the bars at sunset, love the after parties like, “All right. All right. Let’s go. Let’s go to the Cars and Coffee now. Cars and bloody marys.” No drinking and driving, folks. Clinton Quan: And then, you can go out for a nice brunch right afterwards. Tom Smith: Yeah, there you go. Clinton Quan: And then, number five is a big, big one. It is Supercar Sunday, which is every Sunday. And that takes place in the San Fernando Valley in Woodland Hills at Westfield Promenade. Clinton Quan: This is one of the biggest ones, for sure. Clinton Quan: It is everything, everything. Tom Smith: How can you call Supercar Sunday if I can’t bring my Ford F-150 Raptor? Clinton Quan: Well, they allow everything in there. Clinton Quan: It’s a huge parking lot. And then, once a month, I believe, it would be the first Sunday of every month, they have a theme. It might be Ferrari it could be Lamborghini, it could be hot rods. Tom Smith: But they still have everything, they just have a section for those? Clinton Quan: Yes. 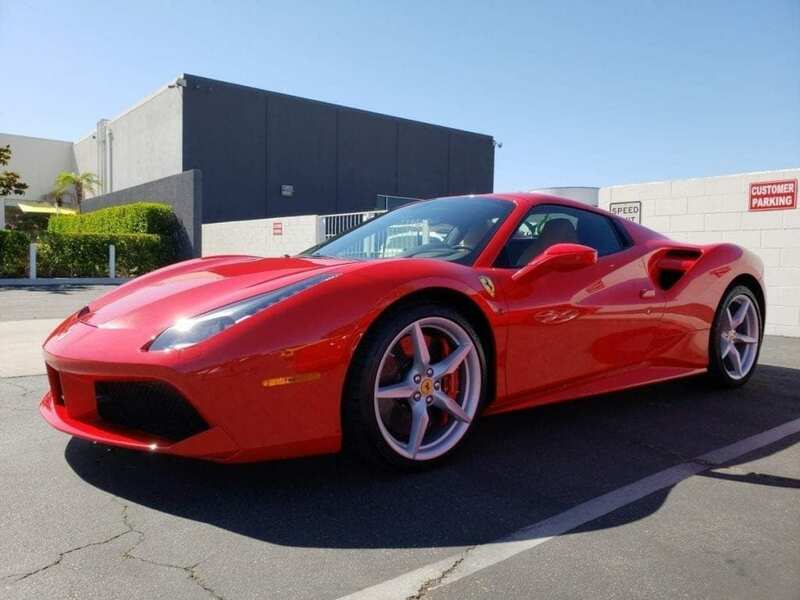 They just have more Ferraris. Clinton Quan: But yeah, you can still bring whatever you drive. 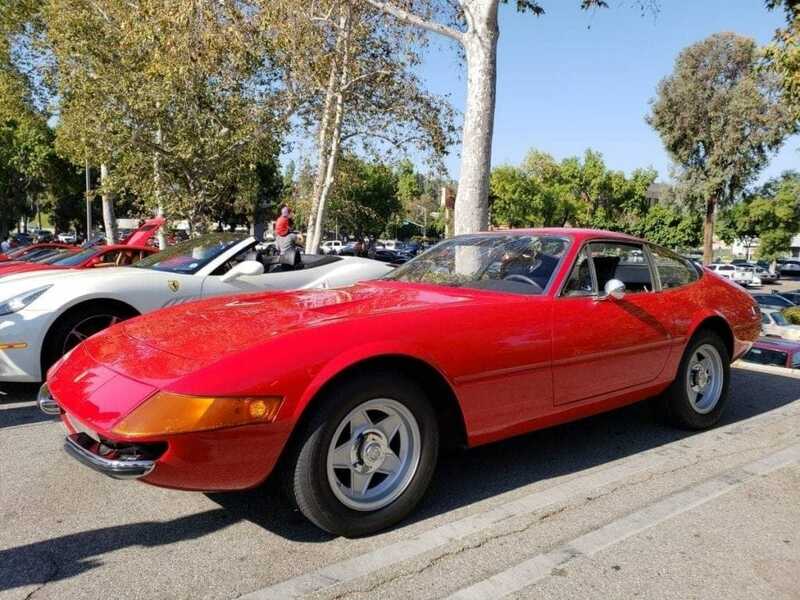 Tom Smith: So, Cars and Coffee events, yet another reason that Southern California is the automotive capital of the US and world. And those are some of the recommended events per the good Professor. And rattle off those top five again. Clinton Quan: Well, we got Santa Barbara Cars and Coffee. 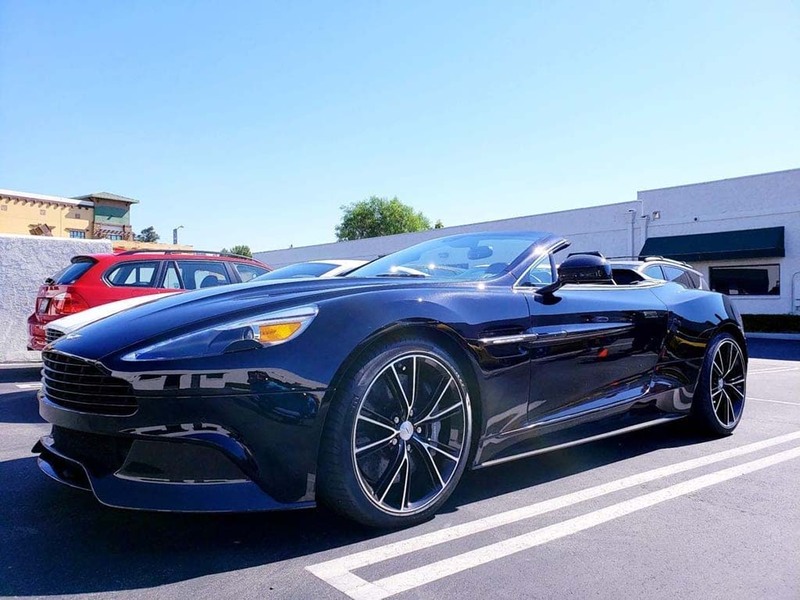 Clinton Quan: Westlake GT, Malibu Cars and Coffee, Sunset GT, and Supercar Sunday. 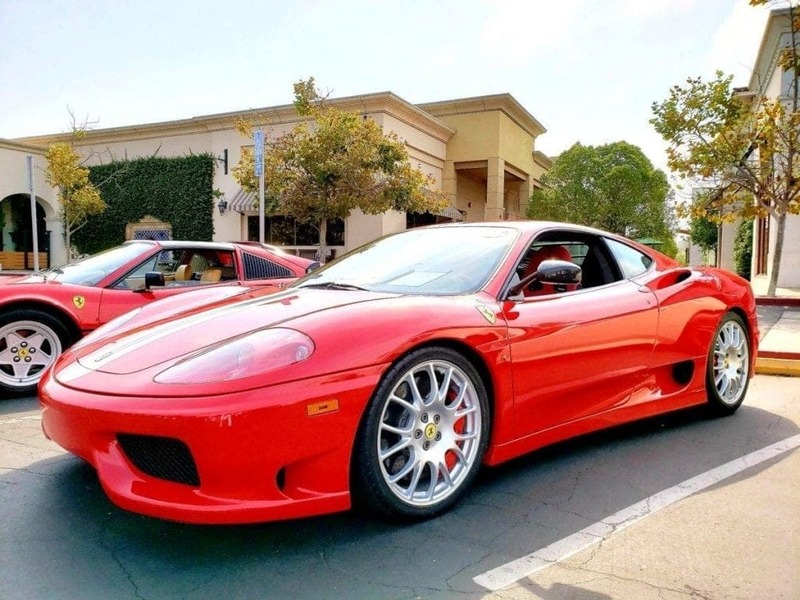 Cars and Coffee Events Often Come & Go – Stay Tuned! Tom Smith: … hopefully their websites, or their Facebook pages, or whatever they have. Clinton Quan: Either the website or their Facebook page, correct. Tom Smith: Okay. Anything else before we wrap it up, Professor? Clinton Quan: I think that’s it. Most the ones I mentioned there, more in the North LA region, Conejo Valley or Santa Barbara. But there is so many of them there. 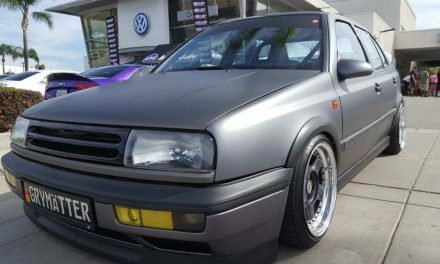 Clinton Quan: There is Corona Cars and Coffee. There’s a number of them, obviously, in Orange County. Tom Smith: And the original one that started at Crystal Cove, then migrated to Irvine. Tom Smith: And bounced around there for a while. But then, it got so big. I think in 2015 it disbanded. Tom Smith: People were coming. Thousands of people were coming. It’s clogging up the road. Like the Awesome Concert You Missed! Clinton Quan: I remember going one time, and I was blown away by how many people were there. Tom Smith: I’m bummed that I never saw them before. Clinton Quan: … just to go to a parking lot to see cars. Clinton Quan: … in Southern California. Clinton Quan: There’s a number of them, yeah. Tom Smith: There’s a Mission Viejo now, and then there’s one at the OC Fairgrounds. And then, I think, there’s another one down in San Clemente. Clinton Quan: San Clemente at the outlets. 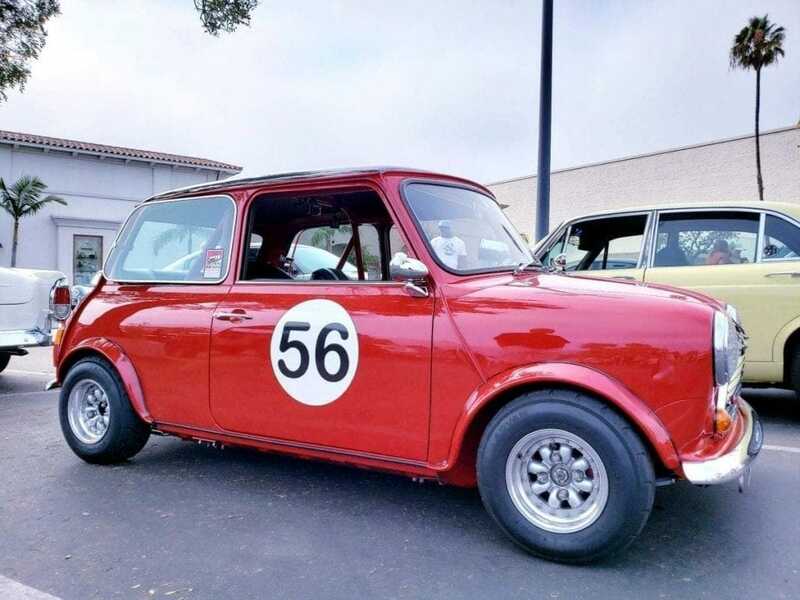 Tom Smith: So, they’re everywhere, Cars and Coffee events. Hey, good, clean, fun, right? Tom Smith: Get up, you know. For some people, that’s church, right? Tom Smith: All right. Excellent. Professor, thanks as always. Always fun talking cars with you, my friend. Tom Smith: And look forward to the next time that we have the opportunity to do it. For now, I’m Tom Smith. This is iDriveSoCal. Thanks as always for listening.